Nurses typically go in to the profession of nursing because they want to "care" for patients, not knowing that the inherent stresses of the work environment put them at risk for developing psychological disorders such as burnout syndrome, posttraumatic stress disorder (PTSD), anxiety and depression. Symptoms of these disorders are often debilitating and affect the nurse’s functioning on both a personal and professional level. 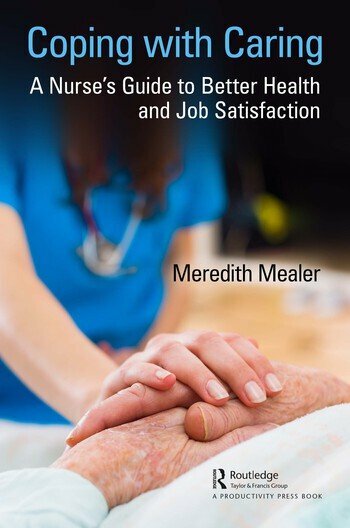 While environmental and/or organizational strategies are important to help combat stress, oftentimes the triggers experienced by nurses are non-modifiable including patient deaths, prolonging life in futile conditions, delivering post-mortem care and the feeling of contributing to a patient’s pain and suffering. It is paramount that nurses enhance their ability to adapt to their work environment. Resilience is a multidimensional psychological characteristic that enables one to thrive in the face of adversity and bounce back from hardships and trauma. Importantly, resilience can be learned. Factors that promote resilience include attention to physical well-being and development of adaptive coping skills. This book provides the nurse, and the administrators who manage them, with an overview of the psychological disorders that are prevalent in their profession, first-person narratives from nurses who share traumatic and/or stressful situations that have impacted their career and provide detailed descriptions of promising coping strategies that can be used to mitigate symptoms of distress. Preface. About the Author. I. Psychological Distress in Nursing. II. Triggers and Narratives. III. Resilience. IV. Mindfulness Practices. V. Writing for Wellness. References. Meredith Mealer RN PhD is an Assistant Professor (will probably change to Associate Professor by the time of publication) in the Department of Physical Medicine & Rehabilitation at the University of Colorado Anschutz Medical Campus and faculty in the Rocky Mountain Mental Illness, Research, Education and Clinical Center (MIRECC) at the Denver VA Medical Center. She has conducted research for the past 15 years on the psychological distress experienced by nurses because of the work environment and building resilience as an intervention to mitigate distress. She has been an invited lecturer and keynote speaker at multiple national and international meetings, working closely with the American Nurses Association (ANA), American Association of Critical Care Nurses (AACN) and the Critical Care Societies Collaborative (CCSC).